At the Yelloh! 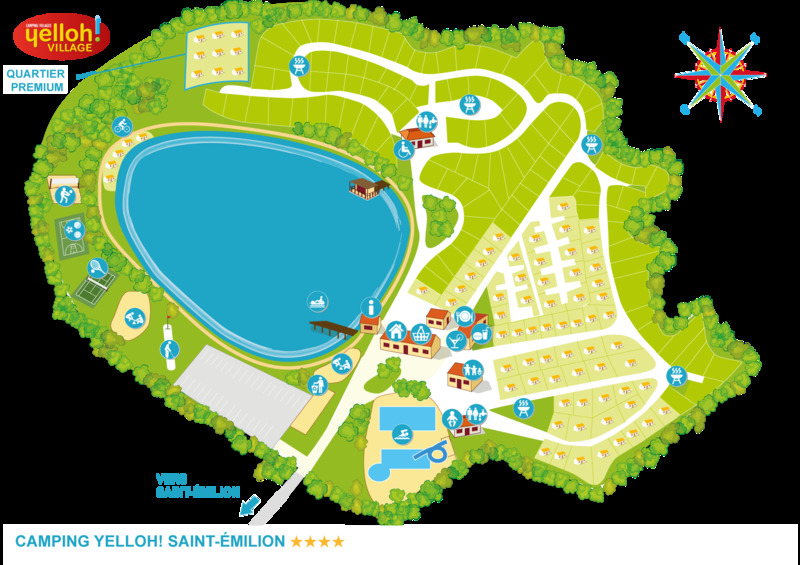 Village Saint-Emilion, we've given some thought to your children so that you'll be able to really enjoy your camping holiday with your family! Throughout your stay at the campsite, we organise activities that have been put together especially for them. Children aged 5 to 12 will be taken in hand by qualified, competent and multilingual organisers! With painting, handicraft and creative workshops, treasure hunts, a junior disco, learning to fish, sports tournaments and more. Your children will just have so much to choose from, and they'll leave again with their heads full of great memories! Supervised by a dynamic entertainment team, they'll have some fantastic times discovering - or rediscovering - new activities, making new friends and enjoying their holidays with the family at their own pace. And at the end of the week, you'll get together with your family to see your children on stage! It'll be a real pleasure to see them have fun and learn new things with their new friends! They'll love dancing with Yellito, the friendly campsite mascot, and giving him a monster hug! Give your kids the holiday of their dreams with the Kids Club! It organises special activities for youngsters during their stay! Share some unforgettable times with your children! With your family, you'll be able to enjoy the games areas at the Yelloh! Village Saint-Emilion! Safe and suited to their age groups, they'll be able to have fun in total safety. Games of giant draughts or chess with the family, a paddling pool and waterslides for people of all ages, a tennis court, a rope pyramid, pedalo and canoe outings on the lake, fishing and plenty more! You'll enjoy a uniquely fun time with your children here. There's not a moment to lose! - come and spend your next holiday staying at the camping Yelloh! Village Saint-Emilion with your family!